Fudgy Vegan Peanut Butter Swirl Brownies (Gluten Free): this vegan gluten free brownies recipe is made from scratch & easy! It’s the fudgiest chocolate peanut butter swirl brownies ever—with thick ribbons of peanut butter and rich, moist brownie flavor! Dairy-Free, Vegan, Gluten-Free. 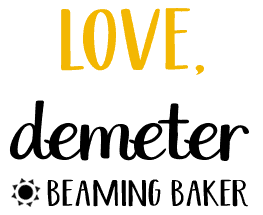 Okay, Easter is not ALL about the food… but ya know that’s our main focus here on Beaming Baker (and MAH LIFE!!). 🙂 For some reason, every time Spring rolls around, I get a multitude of requests for gluten free vegan chocolate peanut butter desserts! To that, I answer: Yes, yes, yes, and yes. Wait a minute, did I count enough yes’s? Meh! It’ll do. 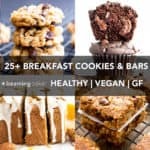 And yes, I totally did just work in some of my favorite vegan peanut butter recipes (ever) up top. And yes, you should totally try ALL of them. In exactly that manner/serving suggestion. Hehe. 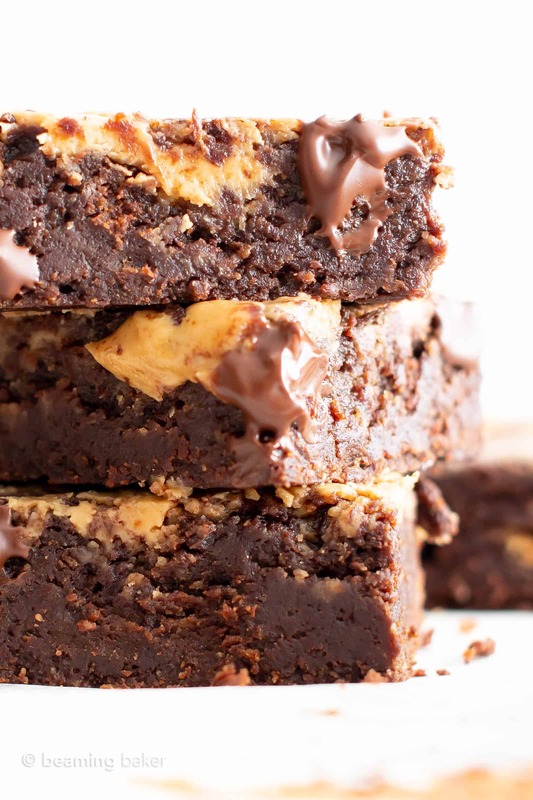 Welcome to your soon-to-be favorite fudgy chocolate peanut butter swirl brownies, ever. 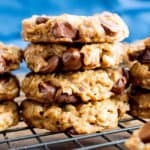 And let me know what other chocolate peanut butter recipes you’d like me to make! I’m always, always game for more. Making these fudgy vegan chocolate peanut butter swirl brownies is kinda fun! 😉 Especially if you’re feeling crafty and want to eat said craft after making it. Lol. First, whisk together the peanut butter, maple syrup and coconut oil. Stir in the cocoa powder ‘til it’s shiny. Then, add in the remaining wet ingredients. Stir in the oat flour ‘til you get a sticky, super shiny brownie batter. 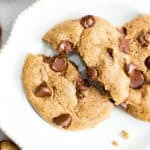 Fold in chocolate chips and pour into the pan. Use a fork to stir together the PB swirl ingredients, then drop dollops of that vegan peanut butter swirl onto the brownie batter. Swirl and bake! 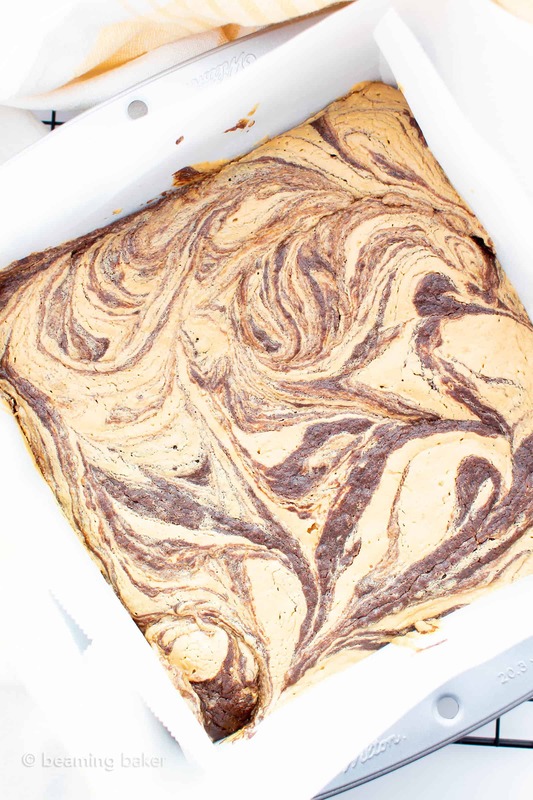 Cool and slice your fudgy vegan peanut butter swirl brownies. Pat yourself on the back because: they’re made from scratch. And enjoy. Woot woot! Peanut Butter: use creamy almond butter, cashew butter, homemade peanut butter or your favorite seed butter. Coconut Sugar: use organic brown sugar or organic cane sugar. Maple Syrup: use another liquid sweetener, such as date syrup or agave. Coconut Oil: swap with melted vegan butter or a flavorless oil. Flax Eggs: swap with chia eggs. Vanilla Extract: use almond extract, or your favorite extract. I like almond extract in brownies, like in my Best Vegan Brownies. 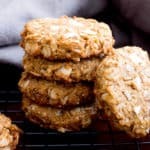 Gluten Free Oat Flour: try making your own homemade oat flour or try gluten free all purpose flour. If you want to use almond flour, try my Ultimate Fudgy Paleo Vegan Brownies recipe. Confectioners Sugar: try gluten free oat flour. It’s a bit drier than the confectioners’ sugar, so start with 1 tablespoon until the peanut butter swirl reaches a consistency that’s liquidy enough to swirl, but thick enough to work with. Note: remember that it’s ideal to stick to the original recipe as written. 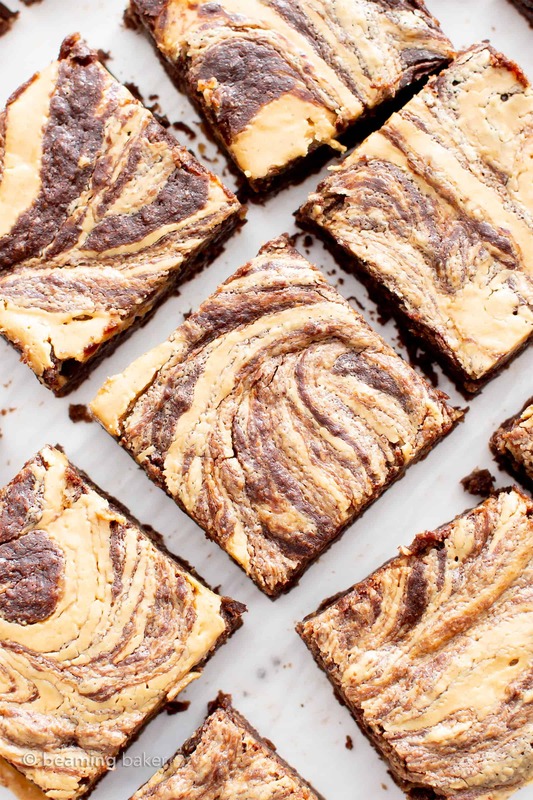 The more changes you make, the less likely you’ll bake the best fudgy vegan peanut butter swirl brownies. General Storing Instructions: Cool the brownies completely, then slice. Store vegan gluten free brownies in an airtight container at room temperature for 1-2 weeks. 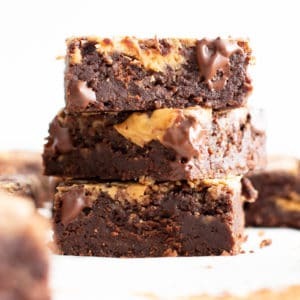 Can I Freeze these Vegan Peanut Butter Swirl Brownies? Yes! After baking, slicing, and cooling the vegan brownies completely, store in a freezer-friendly container. Keep in the freezer for 1-2 months. 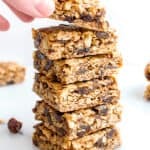 Before enjoying, allow to thaw for about 15 minutes, or heat in the microwave in 10-second increments until just warm. Fudgy Vegan Peanut Butter Swirl Brownies (Gluten Free): this vegan gluten free brownies recipe is made from scratch & easy! It’s the fudgiest chocolate peanut butter swirl brownies ever—with thick ribbons of peanut butter and rich, moist brownie flavor! Vegan, Dairy-Free, Gluten-Free. Make the Brownies: In a medium bowl, whisk together ¼ cup peanut butter, coconut sugar, maple syrup and melted coconut oil. Whisk until it resembles caramel. Add cocoa powder in ¼ cup increments, whisking until shiny and smooth. Scrape down the sides of the bowl as needed. Whisk in flax eggs, vanilla and salt. Add oat flour. Using a rubber spatula, fold until well-incorporated and no flour patches remain. Make the Peanut Butter Swirl: Add Peanut Butter Swirl ingredients to a bowl: peanut butter and confectioners sugar. Using a fork, stir together until well-mixed and thickened. Spoon dollops of peanut butter mixture over brownie batter. Evenly distribute pockets of peanut butter throughout batter—leaving some batter bare. Dip a butter knife into the batter and swirl. Do not over-stir, as doing so will remove swirls. Bake for 31-35 mins. Mine took about 33 minutes. Cool for 1 hour, or until completely cool. Slice. For clean slices, completely cool, then do this: chill for 1-3 hours in the refrigerator, then slice. Cold brownies will be dense and firm like fudge. To soften, allow to reach room temperature, or heat in 10-second increments until just soft. Enjoy! Storing instructions below. 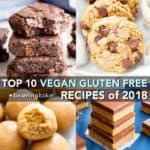 Adapted from my Gluten Free Vegan Brownies and my Best Vegan Brownies. For brownies made with almond flour, try my Ultimate Fudgy Paleo Vegan Brownies. - Store in an airtight container for 1-2 weeks at room temperature. If storing in the refrigerator, brownies will firm up and become fudge-like, and keep for up to 3 weeks. 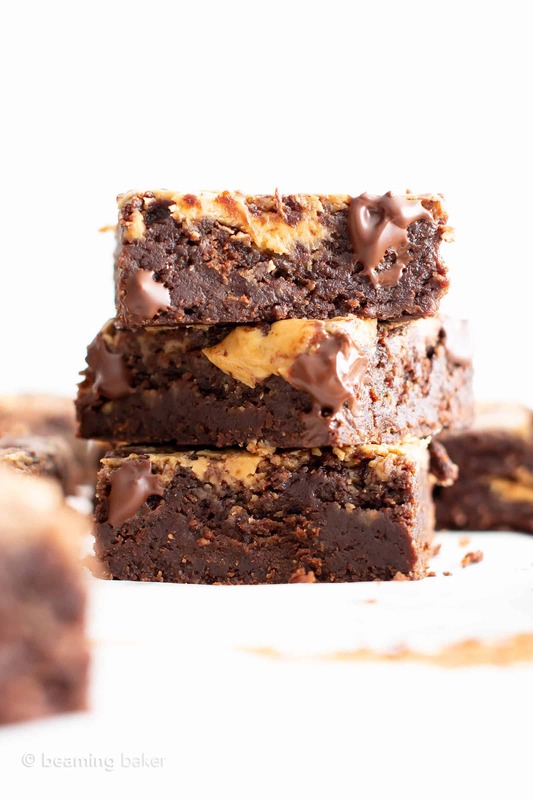 Click the links below to check out my favorite tools & ingredients used to make this Fudgy Vegan Peanut Butter Swirl Brownies recipe. 8-inch Baking Pan – sturdy, super reliable! Coconut Oil – one of my favorite coconut oil brands. Coconut Sugar – a vegan gluten free baking essential. 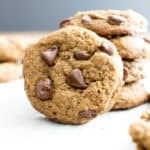 Allergy-Friendly, Dairy-Free Chocolate Chips – great vegan chocolate chips that are free from the top-8 allergens. 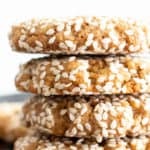 Previous Post: « Healthy Coconut Oatmeal Breakfast Cookies (Vegan, Gluten-Free) – Easy Homemade Recipe! Brownies are my weakness and I can’t stop eating these! I totally need these in my life! 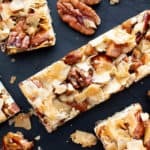 It’s all my favorite ingredients in one delicious bar! I’m a sucker for anything peanut butter and chocolate. Pinning! Yes! One tasty bonus, if you ask me. 😋 Hope the fam enjoys them! One word: YUM. ‘Nuff said. I’m always going to be a PB gal too. 😉 I think you’ll really enjoy these Ellen! Yaaass! The swirl is soo good. Happy baking Brittany! Those look incredible! Definitely the most heavenly combination ever created! Oh my where have these been my whole life ! Who knew eating healthy could taste so good! These look like little bites of heaven! I am drooling over these! These will be great to have on hand this week! Oh my lord, these brownies are so fudgy and delicious. You would never guess they are gluten free let alone vegan. These are absolutely incredible, everyone needs to make these!! Yay! ☺️ I’m so glad to hear you enjoyed them Gabby! Oh my goodness, these are mouth watering! 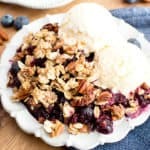 Absolutely a big hit in our house, gotta make this! OMG do these look DIVINE!!!! LOL thank you Cathy! 😊 Hope you enjoy them! Hi demeter! This looks yummy! I wonder if you have the nutritional value for this?